Project Project: Project Service Project: At long last - the newborn kit! Project Service Project: At long last - the newborn kit! We mostly spent ours watching General Conference, which was interesting with a 7 month-old to keep happy! Fortunately, the talks are available to watch online, so I can try again with the ones I was most interested in, but missed parts of due to little Mister Noisemaker. I always walk away from General Conference feeling so inspired, with a desire to be better, kinder, more patient, more loving and faithful. The well-used LDS cliché about getting your spiritual batteries recharged at conference time really has a lot of truth to it. We watched the conference at home on television, so I spent a lot of it knitting. I'm now up to nine caps for Caps for Good, and I also finished my first Christmas present of the year, which is definitely a new record for me! Does turning 30 make you more on top of things? Speaking of being on top of things (or in this case, not at all), I realized that I never showed you the finished result of my Newborn Kit for August's Project Service Project. Then I knitted these chunky little newborn socks, which are really more like little baby Uggs. Please excuse me while I toot my own horn and assert that they are adorable. This kit was by far the hardest to put together. It was expensive (think $12 for a pack of cloth diapers alone, and I didn't even use all of them) seeing as I had to buy cloth diapers, diaper pins, fabric and thread for the nightgown and the blanket, yarn for the socks, and soap. Where the other two kits were put together in basically as long as it took to buy their components and stick them in a bag, this one required time and money, both things I generally hoard for myself and my family. I kept thinking about just making another school or hygiene kit instead, seeing as they are cheaper, easier and just as wanted. However, I just couldn't stop thinking about the hypothetical (and extremely real) baby out there that will one day receive the kit I made. A baby who might otherwise start out in life with not so much as a blanket to be wrapped in. And then I thought of his (or her, I guess, even though my kit is a bit on the boyish side) mother, struggling to take care of a newborn with so little resources. I knew I had to finish my kit, even when it was hard, even when I felt inadequate, even when I had to sew stretchy cuffs on those tiny little sleeves. Sure, the seams on my blanket may be seems only a mother could love, but if you had to choose between wrapping your baby in an imperfectly seamed blanket, or a newspaper, I'm thinking you might learn to love that little blanket pretty quickly. We have so much where we live, and our little Espen wants for nothing. So how can I not share the tiniest bit of my blessings with someone who needs them so much more than I do? I'm ending this post with a quick shot of my junior art director making a few adjustments during our photo shoot for this post. What can I say, he's a hands-on kind of a guy! Oh, and I have another project going this week, so please check back later to see what we'll be up to! Tamsin that is incredible! What an amazing thing you've done for someone. And, I think that the fact that you MADE that nightgown is hands down impressive! "Me Tamsin, you thing for to make stuff" has to be my favorite thing I've heard all day. All week! All month! And I am extremely impressed by your skills. If you think you don't know your way around a sewing machine, then you obviously haven't seen me try to use one. Jeg er også imponert, for en fantastisk pakke! Takk for trivelige kommentarer på bloggen min, de setter jeg stor pris på. I also completely my first Christmas gift. Maybe it was in the air! The kits you made are awesome, the people who receive them are going to be so blessed! 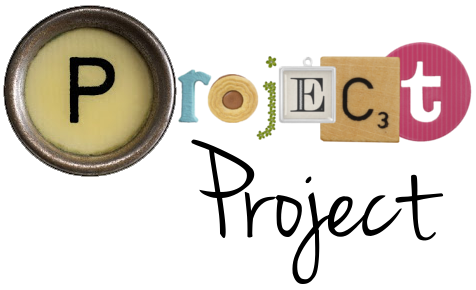 You have a great blog, I have enjoyed reading through it and looking at all of the service projects!